In this country with 1.3 billion inhabitants, living across 29 states and 7 union territories, land is an important source of identity, symbol of social status and foundation for rural power in India, often carrying significant emotional attachment. With a long history, diverse geography and pluralistic culture, land governance has evolved in India through communal, imperial, feudal, colonial and modern systems, gradually moving towards individualization and conclusive titling. Where land is a topic governed by the State governments, forest land is a topic for the federal government. This complicated legal, economic and social structure in which land is governed, is also reflected in the complexity of its land data ecosystem. 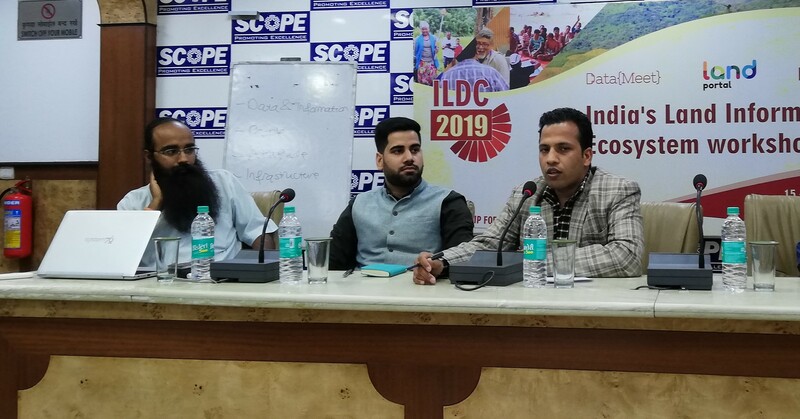 On March 15th, on the sidelines of the 3rd India Land & Development Conference in New Delhi, 25 participants from all across India came together to discuss India’s Land Data & Information Ecosystem. 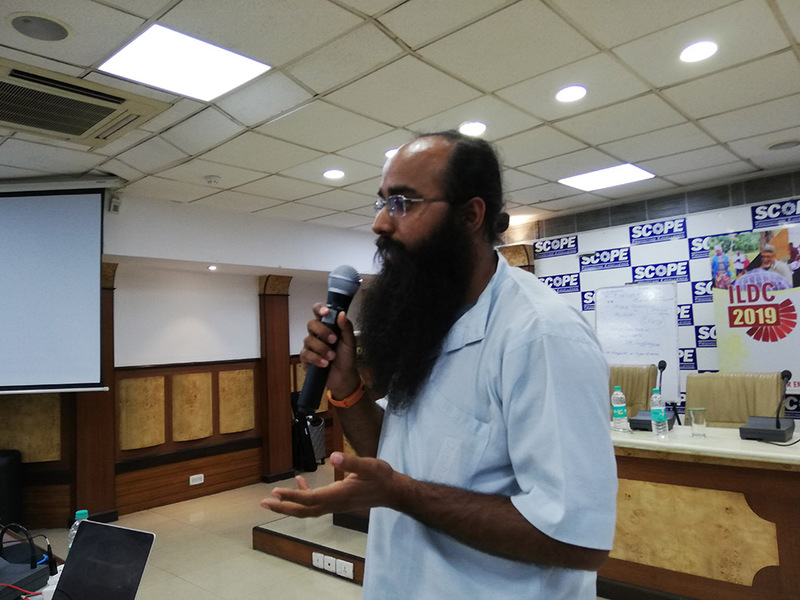 The objective of the workshop was to uncover the data & information ecosystem by identifying the types of data, their data holders, users and more. Specifically, the workshop addressed the challenges and barriers that exist when it comes to accessing and utilizing the data for the common goal we all work towards: improving land governance. We must not only look to government as a source of land data. Civil society, academia, think tanks, the private sector and local communities all have valuable perspectives in this important debate. These perspectives might not all be accessible and published in a ‘raw data’-format, but might very well be captured in documents or conversations. We all have a role to play to either collect, analyze, manage, publish, repackage or repurpose and use data so we can collectively benefit from its meaning. Data becomes reliable and valuable when we pull these various perspectives together and come to one common truth. Responsible sharing of data should become second nature to all data collectors. Before even starting data collection, inclusive and responsible data sharing should be a primary consideration. Data management plans should include elements of anonymizing, sensitizing and structuring data in a way that makes it impossible to inflict harm on the data subjects once published. Prior and informed consent and appropriate data licensing are essential prerequisites for responsible sharing of data. Publishing data should be done in a way that makes it visible, findable and accessible to anyone. Storing of data before the age of Internet meant that a file needed to be carefully indexed and stored in order for people to be able to find it in the correct folder. While the Internet has changed the way we deal with data in many ways, the need for careful storing and indexing data has not. Following open data principles, including the use of geospatial-standards and controlled vocabularies and ontologies (such as LandVoc) to classify the data, are useful tools to ensure that data published on the web can be found through portals and search engines and thus can be accessed and used by everyone. Data dissemination means opening up a data conversation that includes data subjects and goes beyond our usual networks. The land governance community is a small global community that struggles to sell its message to others. Launching a data report to our own mailing lists or Twitter followers is not enough. The land sector should make a collective effort to reach out to media and others outside of the land sector to increase visibility of this important topic. Data subjects should also be included beyond the data collection phase and be included in the conversations. Translating data and data products into various local languages is essential to ensure the data debate is inclusive and democratic. 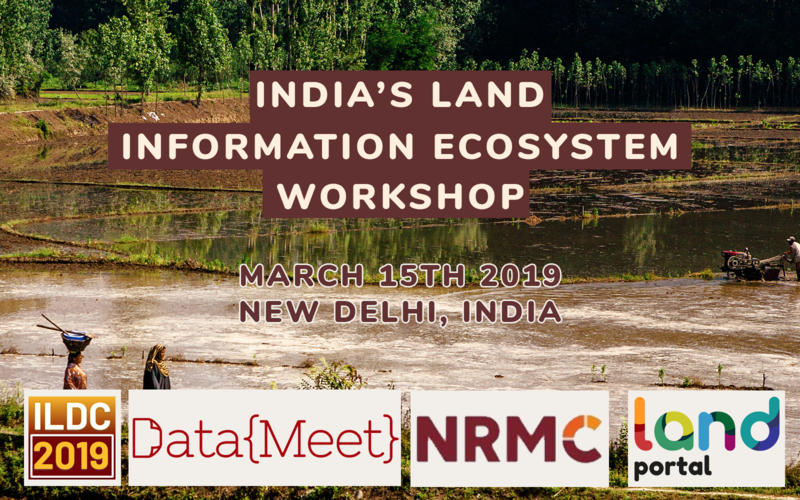 We need an overview of India’s Land Data & Information Ecosystem. In this complicated landscape of land data, there is a need for an overview. A great deal of data is not published or accessible to the general public, stays within particular networks and doesn’t reach wider audiences. Often data is not preserved online, as platforms may disappear or historic data is not kept online forever. There is a need for a tool, a data catalogue, that directs users to the various different sources and types of land data. Continue mapping India’s land data and information ecosystem. Use the mapping of the ecosystem to create a Land Data Catalogue, which will serve as a reference point to direct users in the direction of the myriad of different sources of land data. Explore opportunities to create or build on a land governance vocabulary to increase visibility of land data through standard classifications and bridge language gaps. The fact that data has the possibility to empower, to promote transparency and catalyze change is undisputed. We need data to accomplish the goals we strive towards. India’s land data & information ecosystem is a vast and cluttered space. All of us have a role to play to uncover the myriad of different sources in the data & information landscape, to increase access to and use of data and information and to make the ecosystem more inclusive and democratic. What is your role?